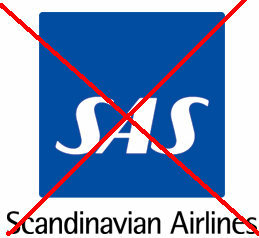 Star Alliance member, or not, whatever you do, do **NOT** fly SAS Scandinavian Airlines. Just my word of humble advice. They SELL you SERVICES, which they do NOT deliver. They act in BAD FAITH, with pre-planned, malice aforethought. You fly with them to some furthest possible places on Earth, and then suddenly you learn that although they have taken the money from you, they decline you the provision of a specific level of service. Dear Friends: Whatever you do, **DON’T** fly SAS. Dear SAS: It is no slander to talk about FACTS, not more, not less, but facts. Facts, which have taken place, and for which proof is safely stored. The paper trail is there. The original boardings, proof thereof, the whole case history, are safely hidden and may be used, if needed.